Presented by E. H. North, 1964. 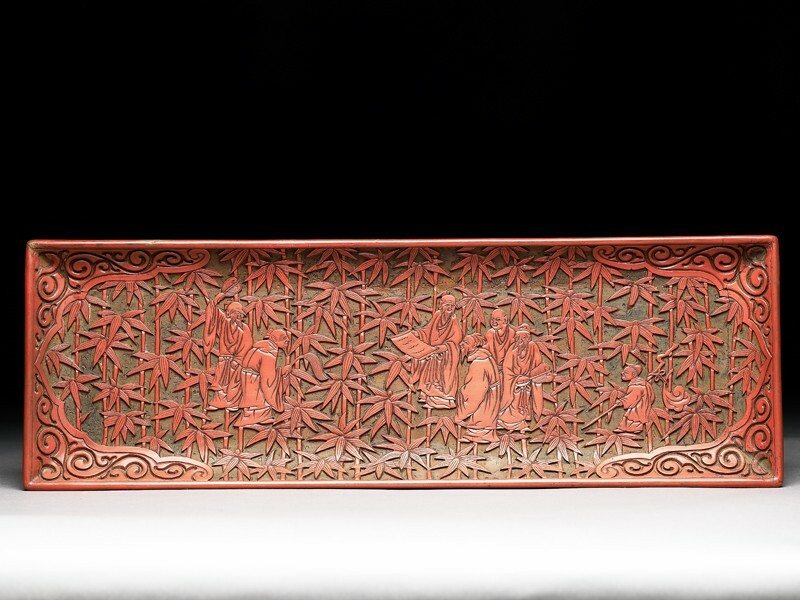 Carved lacquer pen tray, showing the sages in the bamboo grove. These men are an historic group, often used in decoration. 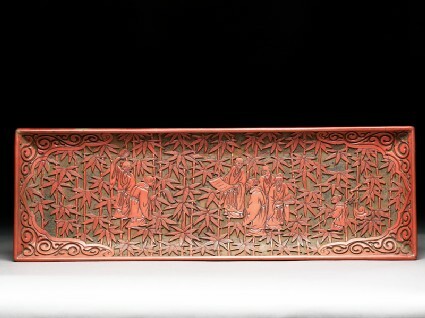 The upper layer is of red lacquer carved down to a yellow background.